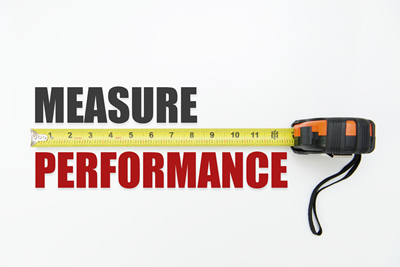 This week we present a new installment in our “Pitfalls” series which looks at common mistakes made when measuring or interpreting contact center metrics. There are, however, a number of nuances in calculating abandoned rate. Ignoring the five pitfalls below could leave you with a misleading result. It is common practice to exclude very short calls from the abandon rate. The logic behind this is that someone might have dialed the wrong number and didn’t realize the mistake until after the call was connected. But how short is too short? There is no universally accepted number. One way to find a good “short call” cut-off time is to look at a histogram of call durations, i.e. how popular are calls that are 0-5 seconds, 5-10 seconds, etc. This plot may show you a demarcation between mistaken calls and calls with true intent. There’s a good discussion on this topic at ICMI.com. Whenever you’re calculating a rate, there is a numerator and denominator. Depending on how you think about “short calls”, they may appear in one, but not the other. This post by Sergey Menshikov looks at 4 different options of dealing with short calls and illustrating the impact of that choice. Another issue is that if the threshold for “short calls” is too long, it can sweep legitimate abandons under the rug. 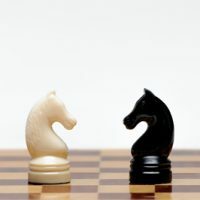 It should come as no surprise that call centers often succumb to this temptation in an effort to meet management objectives. For example, see the final paragraph of this story by Call Centre Helper. If a caller hangs up while going through a self-serve process that should not be counted as an abandoned call, but rather count against the success rate of that process. The reason to separate these numbers is that an abandoned IVR-based process indicates a different problem from an abandoned call that was in queue. The former might be due to unclear prompts, or too lengthy a process. The latter is almost always due to excessive hold time. Once the caller indicates the intent to reach an agent, the call should end in success (an agent conversation) or count as abandoned. One way to lower abandon rate is to offer callers the option of a call-back instead of waiting on hold (sometimes referred to as “virtual queuing”). Usually this offer sounds like, “Press 1 to get a call-back from the next available agent”. If the caller takes this option, the current call will end, but clearly this should not be counted as an abandon! Depending on the call-back solution used and the ACD there should be a way to distinguish these calls from true abandons. 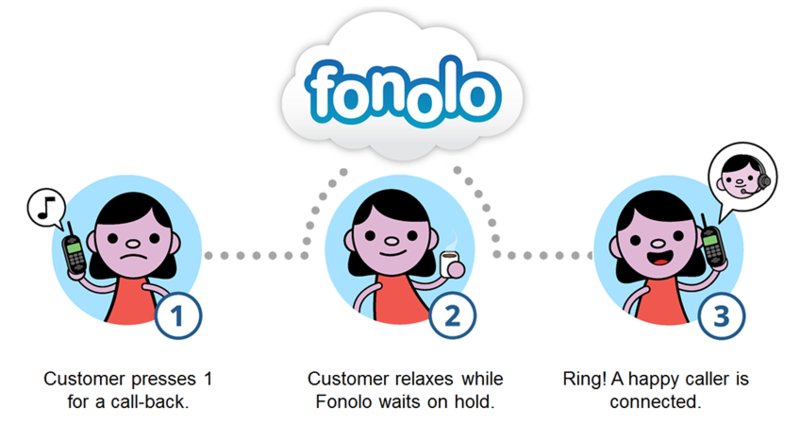 For example, with Fonolo deployed on an Avaya call center, these calls appear as “RONAs” (Remote Outflow, No Answer”) on the call reports. In the video below a call center manager describes how he adapts his reporting strategy to handle call-backs properly. 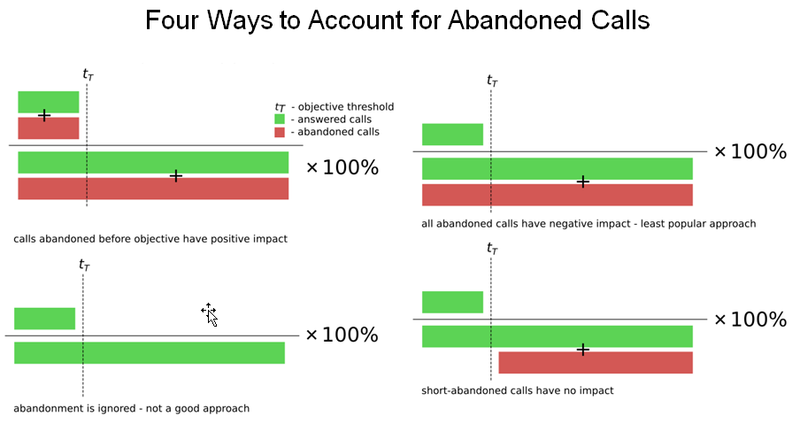 It’s a worthy goal to eliminate abandoned calls as much as possible, but in a system as complicated as a call center, every attempt to optimize for one variable has an impact on other variables. 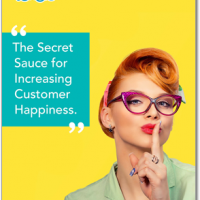 It’s important to keep in mind the big picture and invest your limited time and budget on efforts that deliver the most effective improvement in customer satisfaction. As the abandon rate gets lower, there are diminishing returns. 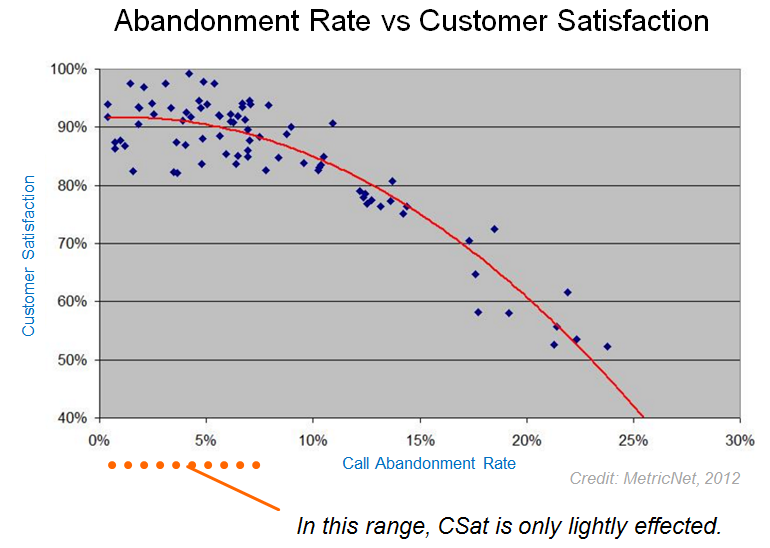 Below a certain point, further reduction will not improve customer satisfaction. There is a terrific exploration of this effect on MetricNet.com, which includes the two charts below. 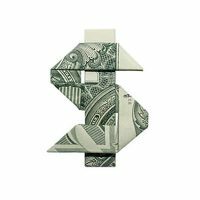 So why do costs go up as the abandonment rate goes down? Because more agent headcount is required to achieve lower abandonment rates, and as headcount increases so too does the cost of support. Let’s say, for example, that a service desk with 10 full time agents has an average abandonment rate of 8%. To reduce the abandonment rate to 4% would require a full time agent headcount of approximately 13. That’s a 30% increase in headcount, for a 4 percentage point decrease in abandonment rate. Is that worth it? Apparently not, because the added headcount increases costs significantly, but produces very little benefit in terms of higher customer satisfaction. 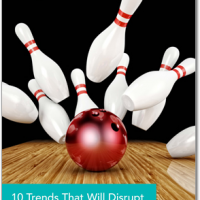 Many call centers struggle with a higher abandonment rate than they would like. 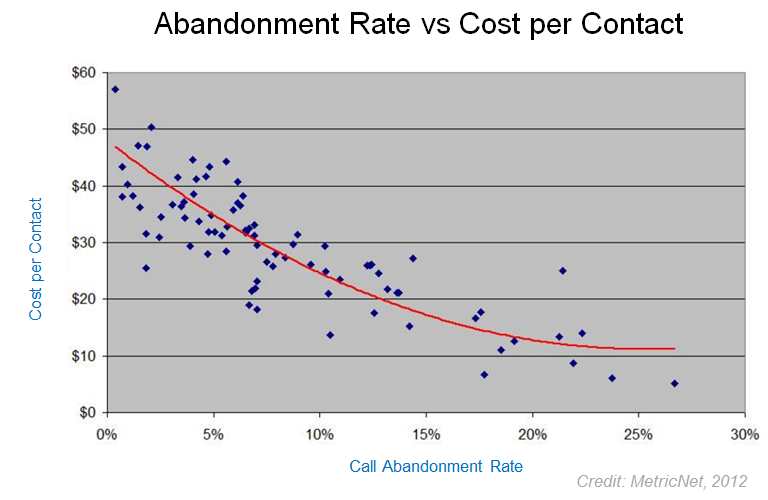 Abandonment leads to higher repeat calling, which lowers First Call Resolution (FCR) and, of course, leads to dissatisfied customers. 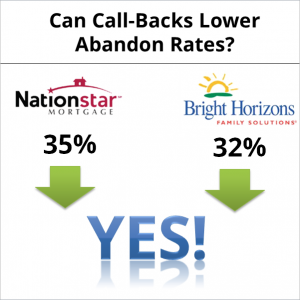 If you need to reduce your abandon rate the obvious move is to hire more agents so that the wait time (aka “Average Speed to Answer”) is lower. But sometime this isn’t in the budget. And sometimes it’s not the best use of resources (as we saw in the last section). In these cases, adding call-backs to your call center is the best alternative. 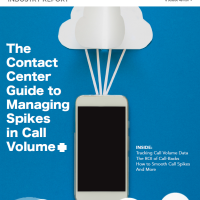 A study by ContactBabel reports that 32% of contact centers experienced lower abandonment rate after call-backs were added. 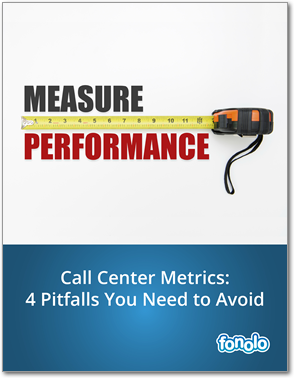 There are 4 call center metrics that are critical to track and get right. Download our free whitepaper to learn the common mistakes made when measuring or interpreting these popular metrics.